This is an actual quote from my book They Said WHAT??!! 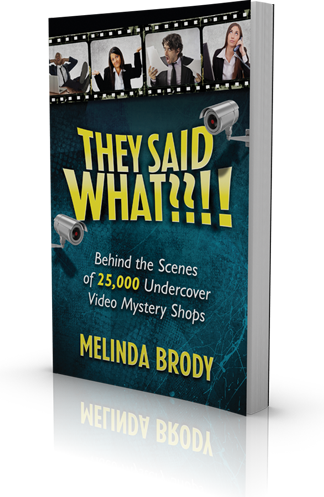 Behind the Scenes of 25,000 Undercover Video Mystery Shops. Sadly, we can’t make this stuff up! For the first time in 30 years of mystery shopping the builder’s story ranked dead last in our 2015 Benchmark Study. 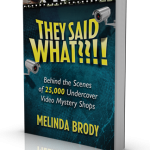 Only 46% of those we video shopped last year even mentioned their builder. I was shocked! Your builder is your brand! When I talk to Sales Associates many of them tell me they ‘forget’ to tell their builder’s story. Or, they don’t know how to properly introduce the builder without sounding ‘canned’. Here are a couple of tips to help you incorporate your builder’s story with every one of your prospects. Ask them if they have ever built a new home before. This is one of the best questions you can ask! If they have built a new home, ask them to share with you what they liked and disliked about the experience. This will give provide you with their ‘hot buttons’. Once they give you that information, you can craft your builder’s story to address their issues. Ask them what is important to them in a new home builder! Are they concerned about value, reputation, quality of craftsmanship? By asking them this question, they will tell you what they are most interested in getting from their builder. Identify the top 10 things that set your builder apart from the competition. These are called Unique Selling Propositions (USPs). This is your brand! This is WHY people would build with you versus other new home builders. Make your builder’s story engaging and vibrant! No one wants to hear that you are a quality builder that has been building homes since 1902. BORING! When discussing your builder or your building process, always use the pronoun ‘WE’ instead of ‘they’ or ‘them’. In your prospects’ mind YOU are the builder! Bottom line, your builder’s story is your secret weapon. Not all builders are alike. This is your opportunity to shine!